Baked cheese is a type of specialty cow's milk cheese that is common in Norway and other Scandinavian countries. The cheese is baked during the production process, developing a golden brown surface that has an appearance similar to a baked crepe. As the cheese bakes, the sugars in the cheese form a light caramel coating on the outer surface, while the interior remains its natural color. The resulting flavor is rich and creamy combined with a slightly sweet overtone. Baked cheese can be warmed either by placing it in a hot oven briefly or by using a microwave to warm it for 10 to 15 seconds. Warm or cold, baked cheese can be served as an appetizer, a snacking cheese, or as a dessert cheese. It is often paired with wild berry jams or honey to complement the flavor. Since the baking process lengthens the life of this cheese, it can be frozen for long-term storage and kept for approximately one year. If refrigerated, baked cheese should be eaten within three weeks or so. When baked cheese is sold outside of Norway and the other Scandinavian countries, various names are used to market the cheese. The Finnish word, juusto, which, in English, translates to "cheese," is often used. The word, juustoleipa, which means "bread cheese," is also used. This name is derived from the bread-like appearance that is suggested from the oven-baked quality and browned outer surface of the cheese. The Swedish word, ostbröd, is another name that is used when marketing baked cheese. Gammelost is a Norwegian cheese that is made from goat's milk. 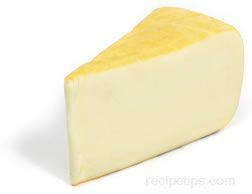 It has a very strong flavor, and the texture ranges from soft to very hard depending on the age of the cheese. 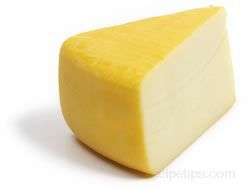 The cheese is also noted for its low-fat content, which most of the time is only about five percent. Because of its unique flavor, Gammelost cheese is usually served as a dessert cheese. It also goes quite well with alcoholic beverages, such as gin or aquavit. A cheese of Norwegian origin, Gjetost is usually made from a combination of goat's milk and cow's milk. Occasionally, it is made from only goat's milk or only cow's milk. In either case, when making the cheese, the whey is slowly cooked until the milk sugars are caramelized. 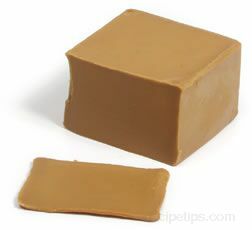 This results in a deep caramel-colored cheese with a sweet flavor and a distinctive aroma. The texture of the cheese ranges from semi-firm to the consistency of stiff cream cheese. When Gjetost is produced with goat's milk, it is referred to as Ekta Gjetost. The cheese produced with only cow's milk is known as Mysost or Primost. Most forms of Gjetost cheese are produced in small blocks. The cheese is often served with dark bread or Norwegian flatbread. It is also serves as a dessert cheese and can be used in numerous cooked dishes. Jarlsberg is a Norwegian cheese that is very much like a type of baby Swiss cheese. 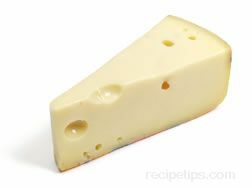 It contains numerous holes much like those of Swiss Emmental cheese. The texture is also quite similar, but the flavor is a bit sweeter with a more pronounced nutty taste. Jarlsberg is excellent when sliced and served in sandwiches or when eaten plain as a snack or appetizer. Mysost cheese is a Norwegian cheese made from cow's milk. It has a soft, spreadable texture and a semisweet flavor. The sweetness of the cheese is created during the cheese making process by heating the whey until the milk sugars caramelize. Also known as Primost cheese, Mysost is very similar to Gjetost cheese except that Gjetost is made from a combination of goat's milk and cow's milk or strictly goat's milk (Ekta Gjestost). All of these types of cheeses with caramelized milk sugars are often served with dark bread or Norwegian flatbread. Mysost is also served as a dessert cheese, and it can be used in numerous cooked dishes. Produced in factories throughout Norway and the United States, Nokkelost cheese is a traditional creamery cheese made from partially skimmed cow's milk. Similar in appearance and flavor to the Dutch cheese, Leiden, Nokkelost Cheese is slightly milder in flavor and softer in texture. It is also typically seasoned with caraway, cumin, and cloves, which add a distinctive taste to the otherwise mildly flavored cheese. Also referred to as Kuminost cheese, Nokkelost is allowed to mature for two to three months, at which time it becomes a semi-hard textured cheese. A thin natural rind also develops around the cheese. When Nokkelost cheese is ready for market, the cheese is formed into wheels or blocks, and then it is usually covered with a bright red paraffin coating. The Norwegian term, nokkel, means crossed keys, which is part of the symbol used by the Dutch city of Leiden to denote products produced within, and adjacent to, the city; therefore, the packaging and name of Nokkelost cheese may display a crossed-keys emblem to symbolize its association with the Leiden heritage that dates back to the seventeenth century. 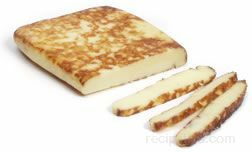 Nokkelost cheese is a good choice for snacking, for serving as an appetizer, or for use as a topping melted over potatoes and meats. Primost cheese is made from cow's milk and has a soft, spreadable texture and a semisweet taste. The sweetness of the cheese is created during the cheese making process by heating the whey until the milk sugars caramelize. Also known as Mysost cheese, Primost is very similar to Gjetost cheese except that Gjetost is made from a combination of goat's milk and cow's milk or strictly goat's milk (Ekta Gjestost). All of these types of cheeses with caramelized milk sugars are often served with dark bread or Norwegian flatbread. Primost is also served as a dessert cheese, and it can be used in numerous cooked dishes. Made from cow's milk, Pultost is a traditional Norwegian cheese that is produced as a soft cooked-curd cheese. The cheese is made from skimmed milk that is heated and allowed to curdle naturally, which is the reason why Pultost is often referred to as a sour-milk cheese. 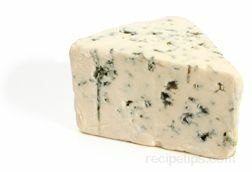 As it is processed, the cheese is flavored with caraway seeds. 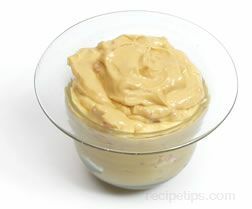 It is then produced as either a spreadable cheese or as curds. The spreadable form has a more intense flavor and aroma than the curds. Pultost cheese is also referred to as Knaost or Ramost cheese. Ridder is a semi-soft cheese of Norwegian origin. It is made from cow's milk. It is a type of cheese that is often duplicated in other countries throughout the world. Ridder cheese has a creamy, pliable texture and a buttery, sweet, and somewhat nutty flavor. Produced in flat wheel shapes that feature a washed orange rind, Ridder cheese is aged for several months before it is marketed. Ridder cheese is most often served with fruits and vegetables, used as a cold sandwich ingredient, and melted in grilled sandwiches. Other cheeses that are similar to Ridder are Père Joseph, Port Salut, Oka, Saint-Paulin, and Trappist. Produced from pasteurized cow's milk, Ridderost is a Norwegian cheese made with an outer coating of annatto, which is a rust-colored paste commonly used to provide a distinctive orange color to a number of cheeses. Semi-firm in texture, Ridderost cheese has a smooth, buttery flavor that is also somewhat mildly sharp. Ridderost can be served as a snacking cheese, a cheese to accompany appetizers, or as a cheese that can be added to salads.